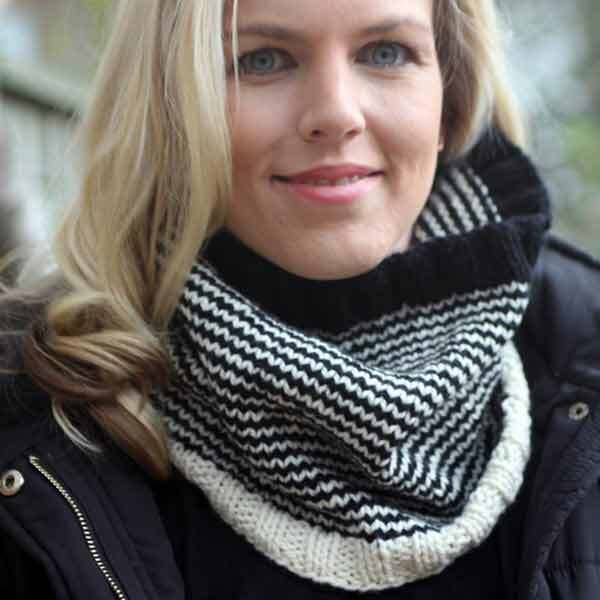 Single stripe cashmere cowl using Altopiano – our luxury aran weight cashmere. 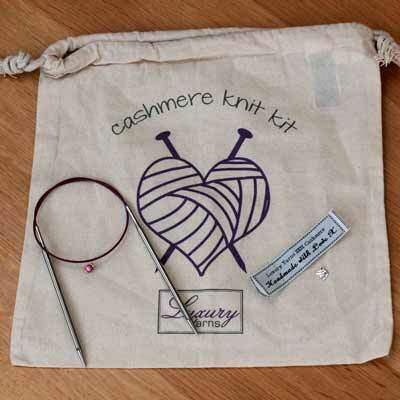 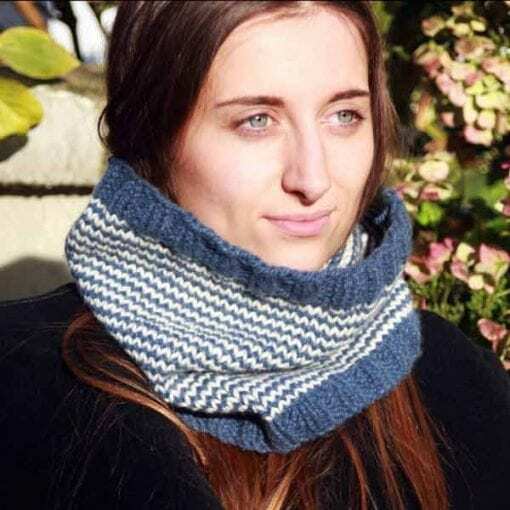 It is knitted on circular needles and is a great first project for those new to circular knitting. This cowl looks great using a solid colour and one of our hand-dyed. 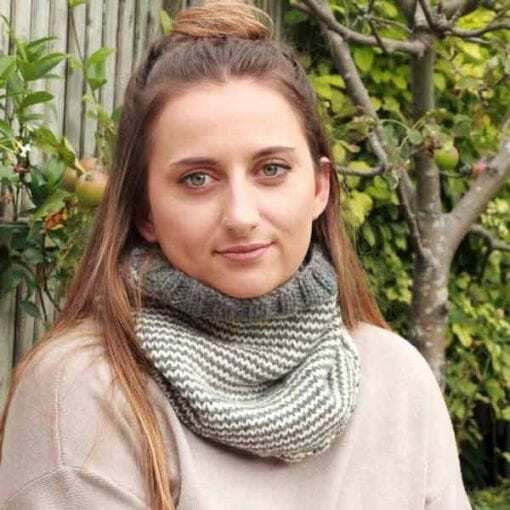 Single stripe cashmere cowl using Altopiano – our luxury aran weight cashmere it is designed to fit once around the neck and to fit fairly snuggly. 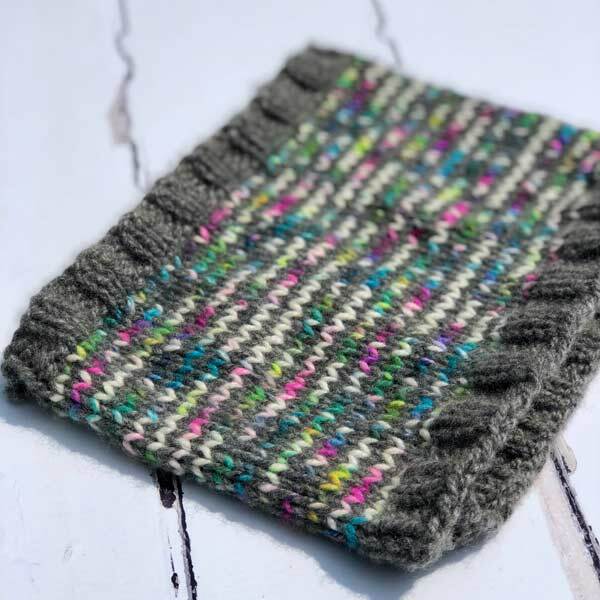 It can be made with matching cuffs, or if you want it to be slightly longer (and use up all your wool) then you can have alternate colour cuffs. 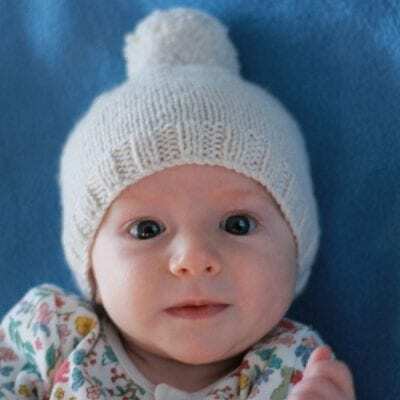 It is exceptionally warm. 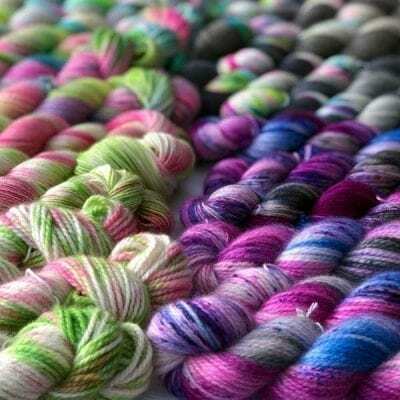 The yarn comes in 8 stunning colours and can be made in any combination of 2 colours. 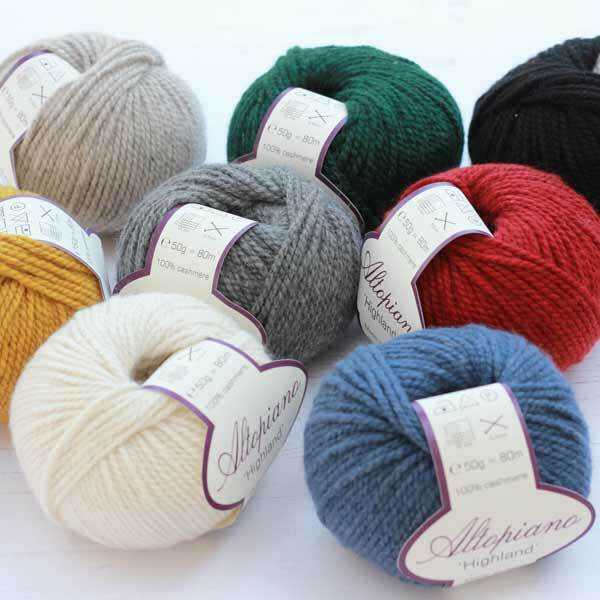 My particular favourite is Crimson and Stone, although I also recently made one using Slate and Happiness – one of the Altopiano Hand-Dyed variegated yarns and I really love how it turned out. 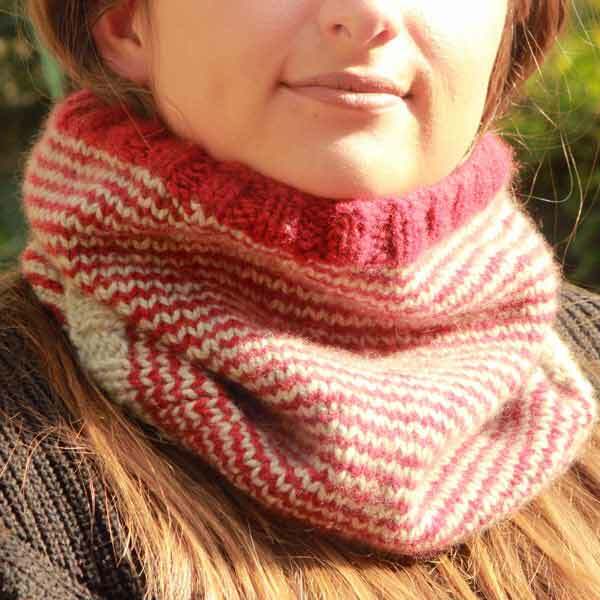 My third Single Stripe kit, I just love these, the yarn is amazing and the pattern is simple and quick to knit.